Movies and television shows pop with stunning detail. 4K HDR delivers ultra-realistic image quality that's 4X sharper than last-generation HDTVs with a color spectrum that’s twice as rich. High Dynamic Range (HDR) means you see more colour, more detail, and brighter images for true visual depth. Google Voice Search makes it easy to find what you want. All you have to do is ask to find the right app, game, or video quickly, and with incredible precision. No more typing. 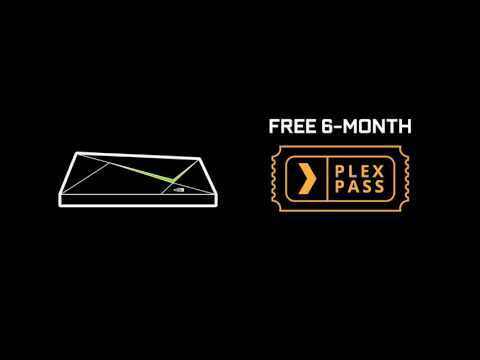 Just instant results from Netflix, YouTube, Spotify, and more. You can even use commands like “Show me great sports movies” or “award winning films” and SHIELD delivers. Its voice search—only smarter. Expand your entertainment with the best gaming streamer experience that’s 3X more powerful than Apple TV. Join GeForce NOW and enjoy unlimited streaming of popular PC games or download premium Android games—from family games and indie hits to the most advanced Android TV titles with rich gameplay and intense multiplayer action. When you are using NVIDIA SHIELD TV for browsing and watching shows then there’s no need to keep hold of a gaming controller. The NVIDIA SHIELD Remote is light, smooth to the touch and comfortably fits into your hand. You can easily control SHIELD TV through voice search and control. 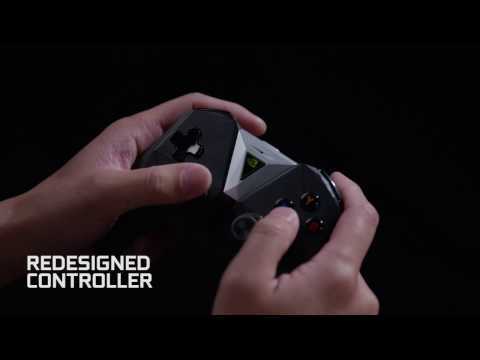 Experience immersive gaming and hands-free voice assistance with the new NVIDIA SHIELD controller. The hands-free microphone built into this beautiful controller is accompanied by dual vibration feedback, hi-fidelity headset audio, IR + CEC volume control and over 50 hours of gaming! 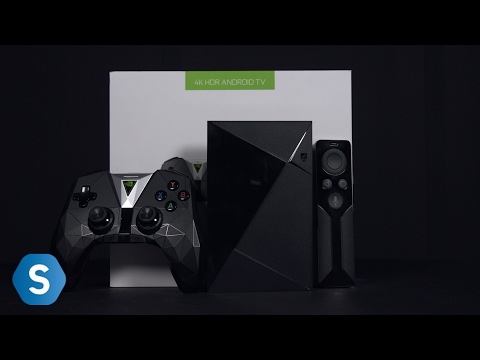 NVIDIA Shield TV Media Streamer, 16GB, Tegra X1 Processor, 3GB RAM, 4K HDR Ready, HDMI2.0b/GbE, 2x USB 3.0 is rated 4.8 out of 5 by 8. Rated 5 out of 5 by Jexx from Highly Recommended I wasn't expecting much from the device given it's price. It's fast for smart tv style use, I've not used anything else that comes close to this in performance other than a full PC. Lightweight, you could have this in your pocket and forget it's there (if you have big pockets). Gaming is good, I have stutters in online game streaming, and get frequent packet loss warnings even with a stable 15ms 82Mb link. But for single player games that doesn't tend to cause issues. I'm guessing it's a US/EU server issue. Streaming from PC is great, and allows me to play all my Steam games as well as my Nvidia streaming compatible games. Considering this is still being improved upon (software updates), and is already a great device, it was money well spent. Rated 4 out of 5 by Sant from Very Fast, Pathetic App Choices. I haven't used it to its full potential yet but wow its very fast at what i have done. Yet again another Google Play Android device that has a pathetic choice of apps that you can download from the built in app store, thankfully you can get what you want by sideloading them from elsewhere. Rated 4 out of 5 by Maggot0112 from 4k streaming Good product for 4k streaming via netflix. And online gaming. Rated 5 out of 5 by v0892bde from Best TV Streamer. Period. Don't bother looking for underpowered Android boxes that might play your movies. This is the real deal. With the fabulous Android TV interface and powerful processor, this box can easily play 4k movies and stream UHD content from Netflix and Amazon. Oh, yes you can install Kodi with all the dodgy plug-ins. I'd recommend the build in Plex Sever for your movies and TV shows. Go for the 16GB version and use either an external hard drive or NAS. The quality of Amazon's "Grand Tour" is much better than through the WebOS app built into my LG 4K TV. Rated 5 out of 5 by Dustybin8 from Fantastic if you've got a good gaming pc In home streaming is the killer feature, it takes your games into the living room so well. This is probably the best Android box going, Jodi, Pled etc run like a dream. 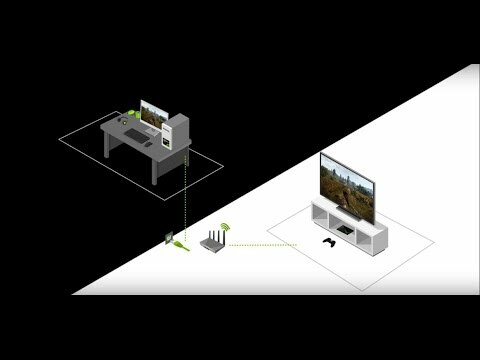 Geforce Now is a nice touch but it relies on your internet connection being top draw. My 38 MB fibre will just about keep up the pace most of the time but I doubt I will subscribe full time to the service. I would 100% recommend this to gamer who want to play on the couch, anyone interested in a small pled box or just people who want the best Android box bar none. Is there a Micro SD card slot on the 16GB version or is it only on the Pro version? There is no SD card slot on the 16gb version, however it does have 2 USB 3.0 slots that you can add extra memory or a SD card adaptor. Is it possible to stream games from my PC, which has a GTX980, to a Shield via over power line adaptor (TP-Link AV600)? Nvidia state the following requirements: The basic requirements are a Wi-Fi router and a modern gaming PC with a GeForce&reg; GTX&trade; 650 or higher desktop GPU. The detailed requirements are: GPU: Desktop: GeForce GTX 650 or higher desktop GPU Notebook: NVIDIA Kepler&trade;-based GeForce GTX 600M or higher notebook GPU The full list of supported GTX GPUs for Notebook is: 880M, 870M, 860M, 850M, 780M, 770M, 765M, 680M, 675MX, 670MX, and 660M. CPU: Intel Core i3-2100 3.1GHz or AMD Athlon II X4 630 2.8 GHz or higher System Memory: 4 GB or higher OS: Windows 8 or Windows 7 Software: GeForce Experience&trade; application and latest GeForce drivers Routers: 802.11a/g router (minimum). 802.11n dual band router (recommended). 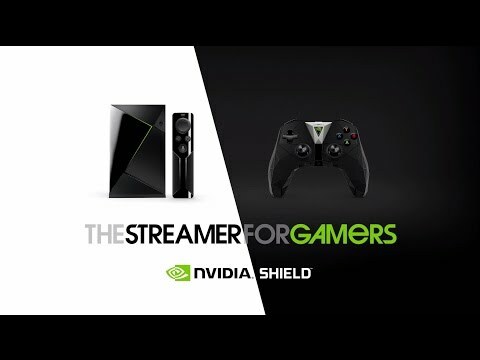 Check out a list of NVIDIA GameStream&trade;-ready routers. So I see no reason why your setup shouldn't work. I would recommend cabling the Shield to the TP-Link rather than wireless, wireless is great but it's just another possible cause of issues, so unless you really have to, don't. Note: If you are not already using the TP-Link AV600 adaptors do be aware that they don't always work with house wiring and you should test the performance of them before committing. Is the Amazon Prime Video app installed or is it easy to do? Does it have full 4K with HDR? Yes the Amazon Prime app is installed, full 4k HDR as standard display.